This year I decided to take part in Me-Made-May for the first time. I love the concept of wearing as many me-mades as possible and investigating which ones work and which ones don’t and why. I quite enthusiastically signed up and pledged to wear one item of me-made or refashioned clothing as well as to try and wear each of my me-mades (except one fancy dress) at least once. I thought the first part would be easy but that I would struggle with the second part, as I felt that I had some unloved me-mades in my closet. 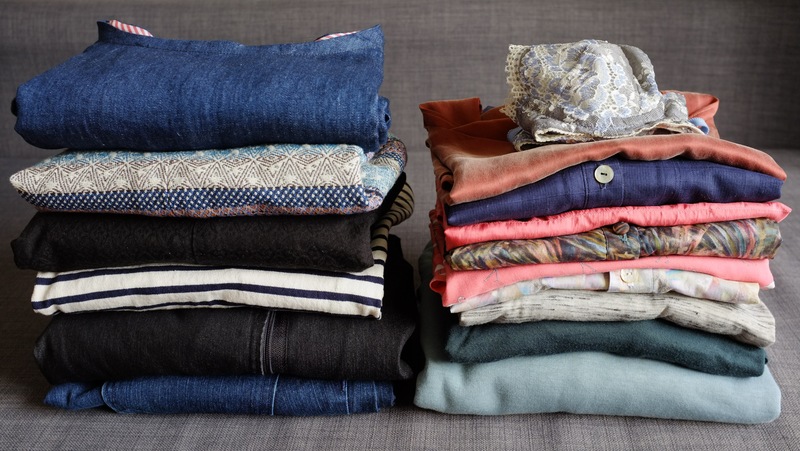 I didn’t take into consideration that just a couple of weeks before I had used the KonMari method to get rid of a lot of unloved clothes. When I did my me-made inventory I realised that in total I only had 16 me-mades left (over the course of the month however I added another two) and that I actually really liked all of them. I don’t seem to be holding onto me-mades for only sentimental value anymore, which was a good start for this challenge. The limited number of garments; however, would mean that I had to work with a lot of repetitions to be able to wear at least one me-made a day. 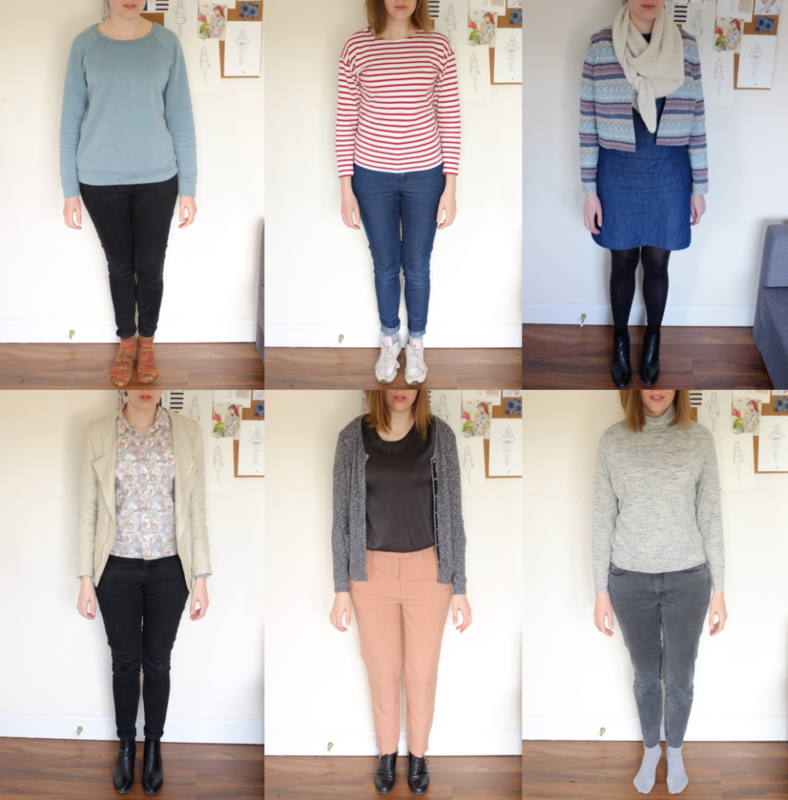 Then I had to figure out if and how I wanted to document my daily outfits. 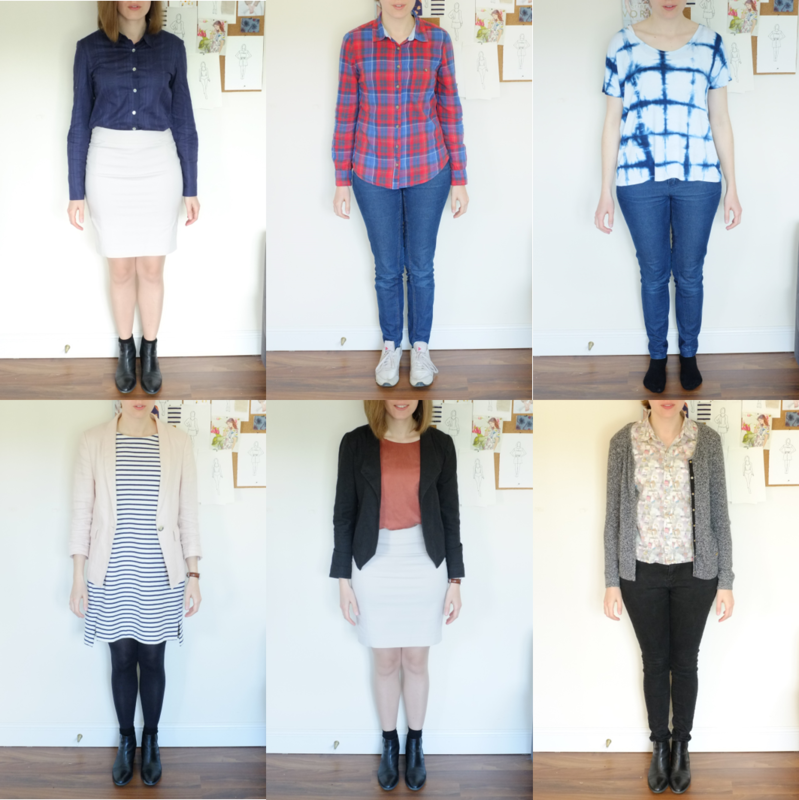 I’m not a fan of constantly taking pictures of myself but when I took part in #bpSewember last year I used outfit pictures to determine my style and realised that photos really are the best way to determine what you love wearing. With my photographer of choice being out of town for a good part of the month I had to get creative with the picture-taking process. I decided to mount our camera on top of my dress form (maybe it is finally time to invest in a tripod) and took the pictures with a self-timer. The pictures didn’t turn out great but at least they give a good idea of the outfits and I love seeing them all in a row. As I kept the camera in the same place and just had to take a quick picture before I left for work it was actually not that difficult to take a picture each day. In the last week of May; however, I left for a hiking trip in the Austrian Alps. I briefly considered to quickly sew something for the trip (I don’t have me-made active wear) but then I decided that I didn’t really need anything new for the couple of days a year that I actually go hiking and decided that 24 days of Me-Made-May were enough. I love the design of all my me-mades. The only reason that I don’t wear some of them very often is that they are uncomfortable or don’t sit right. 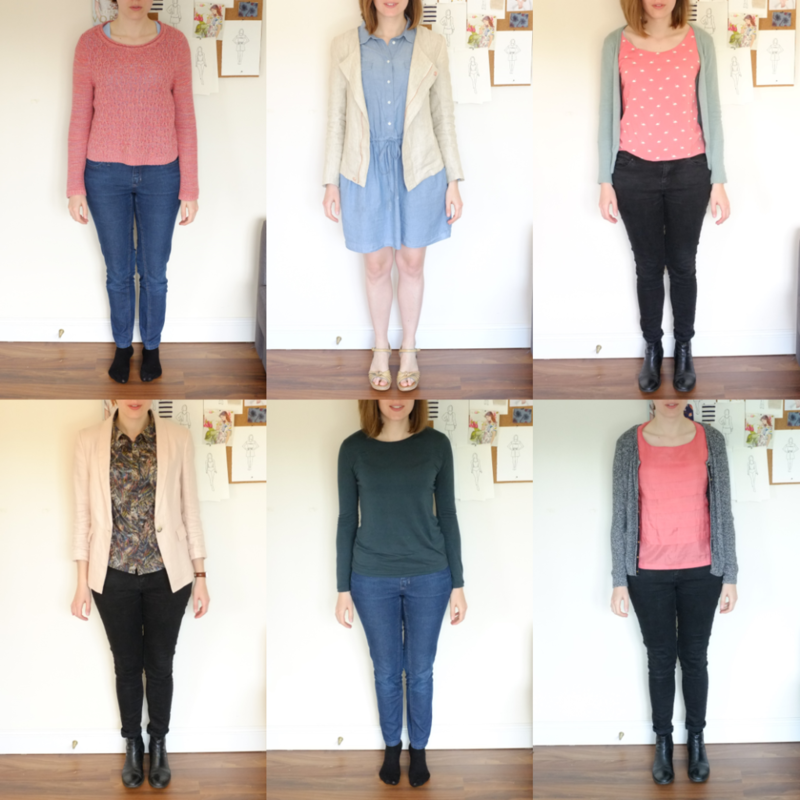 This includes the denim shift dress (day 3) that is too rigid and two tops (the pleated silk top (day 12) and a liberty print blouse (day 10)) that have sleeves and don’t sit well under cardigans and blazers. I’ll think about ways of making them more wearable. I don’t mind wearing repeats as I often reach for the same few garments anyway. I only need to get better at making/buying clothes that mix and match easily. I definitely prefer trousers over skirts and dresses. Apart from my two Ginger Jeans I currently don’t have any me-made trousers. I need to change that. I own a lot of me-made wardrobe staples (Ginger Jeans, jackets, jersey tops) that make it very easy to wear me-mades everyday. Also my work wardrobe seems to be well equipped with me-mades. The only category where I lack me-made garments is fun casual clothes. I’m currently working on filling that gap. I love the colour blush/pink when I sew and when I shop. This obsession has been going on for almost two years now and I need to stop and explore other colours! Garments that I love to wear don’t necessarily look good in pictures. 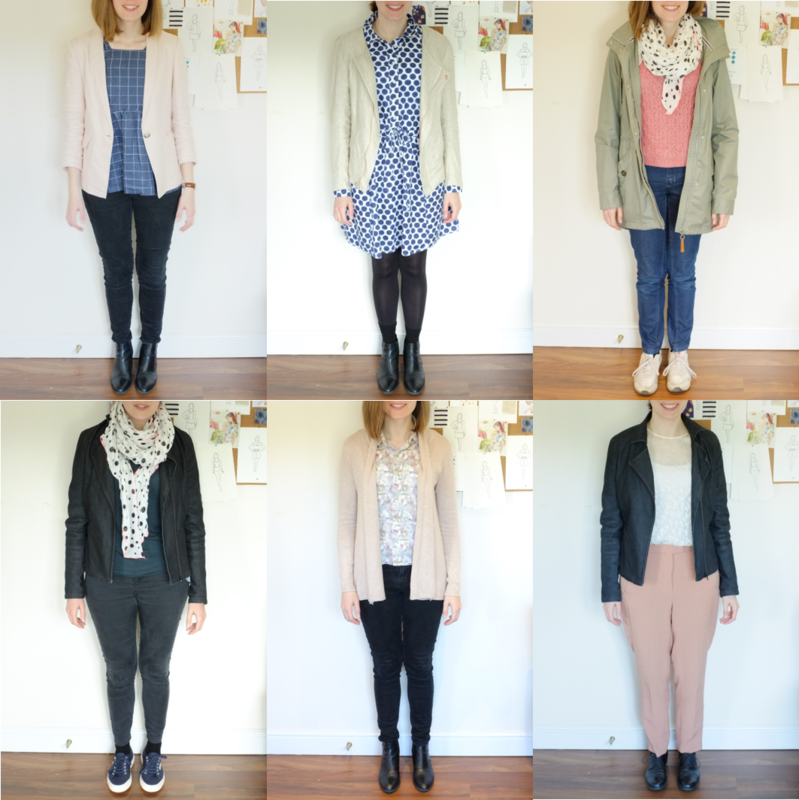 Example: I love wearing the salmon/blush cropped trousers but I really do look frumpy in them. I tell myself that they look a lot better in real life than they do in pictures. All in all I learned a lot over the course of this month. In general I think I’m on the right track of developing a wardrobe that I love. Already I own a lot of me-mades that I really love. I don’t think my wardrobe will ever be 100% handmade. I love second-hand clothes and buying a well made garment here and there too much. But what I love so much about sewing is that I have the possibility to create my excact dream wardrobe, one that is thought-through and unique. It’s such a fun journey!